Dardistown Cemetery, located near Dublin airport, was opened in 1990. The cemetery covers 42 acres and is developed as a lawn cemetery. 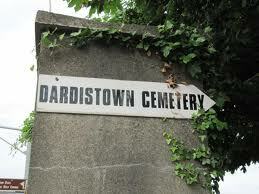 In order to retain the attractive features of older cemeteries like Glasnevin, Dardistown is developed in sections. Each section is named after saints associated with the locality – St.Columba, St. Margaret and St.Doulagh for example. The entrance to Dardistown is through the original gates and piers for St.Paul’s Section of Glasnevin Cemetery which date back to 1860. Dardistown is located in the heart of Fingal whose rich heritage and long history is evident in the many famous buildings, churches, castles, great houses and archaeological sites located in the area. This wealth of monuments, some dating as far back as 5,000 years, reflect the various periods of Fingal’s history from Viking occupation to the diversity of Anglo-Irish history through to modern day Fingal.